If you just noticed that one of your children is excessively consuming ice or any form of ice drink, you should watch out for this pagophagia. This is simply a form of disorder called pica, which has to do with obsessive consumption of ice. This can also be obsession on any kind of ice drinks. Also, this kind of disorder is linked to anemia which is an iron deficiency in the body. The reason for associating this with anemia is the response to iron supplementation observed. That's why some researchers believing that it might be due to deficiency of iron or something else. 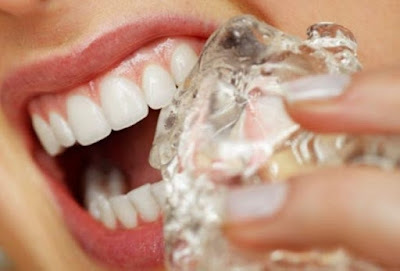 It is defined as a condition that usually results to ice craving. It is also an intense craving for ice blocks, drinks and others. Apart from the fact that this is a serious situation it also has the tendency to damage the teeth. It might be a signal of several other issues including emotional disorder, as well as iron deficiency. There are certain symptoms that can show that one has this disorder. There are several symptoms that can serve as conclusive evidence for this condition. One of the obvious signs or symptoms of this disorder is simply excessive craving for ice and other ice drinks. Also, the cause of pagophagia will determine the symptoms that will come up afterwards e.g If you have ice craving that is caused by iron deficiency then you might experience fatigue. You may also suffer from becoming tired easily even while performing simple or regular tasks. In case of fatigue and weakness it is not easy to identify symptoms associated with this condition. The only thing is that eating ice blocks can end up damaging ones teeth. May be you do not know the possible reason or the factor that can cause this disorder. But one of the obvious cause is extreme deficiency of iron in the body. Eating diet that is poor in iron and other nutrients for long may cause pagophagia. Also old age is one other obvious causes of this condition after hemorrhaging resulting from excessive loss of iron in the body. This condition is mostly common among menstruating women after losing large volume of blood with iron. Moreover, cultural or biochemical as well as psychological factors can result to this condition. Understanding a condition by knowing its symptoms as well as the causes is the easier way to manage or cure the specific problem. Since you already know the possible causes of pagophagia the treatment is not far fetch from avoiding the possible causes. If this condition is caused by iron deficiency then the best treatment will be iron supplementation. This condition can also be behavioral whereby someone just becomes obsessed about taken ice bloc and ice drinks. Vitamin C can also be used to treat this condition. For proper diagnosis, just meet your doctor for blood test in order to find out the possible causes of this condition.